At Big City Catering, you’re not the only ones who say “I Do!” With so many details to attend to, it’s comforting to know that our experienced staff and management are prepared to make your wedding as special, as unique and as distinctive as you are. 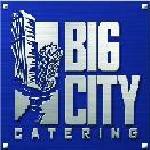 As Central Florida’s premier gourmet caterer, Big City Catering can provide a culinary experience like no other. Whether your reception is a more intimate gathering or a lavish affair, our staff and chefs will create a tailor-made menu specifically designed to match the theme and flavor of your special day.